Providing you the best range of sand stone, kandla grey sand stone, raj green cobble, rose red sand stone and stone wall panel with effective & timely delivery. Our rich industrial experience supports us in offering a wide assortment of Sand Stone. The provided sand stone is comes with both side natural/ one aside and both side as per need of customers. Offered sand stone is processed with precision in accordance with the set norms. Our sand stone is available in numerous sizes & color options as per the need of clients. Kandla grey, camel dust, autumn brown, teak wood, rainbow, yellow, pink, beige, modak, ravina, raj green etc. Under strict supervision of our skilled professionals, we are providing Kandla Grey Sand Stone. 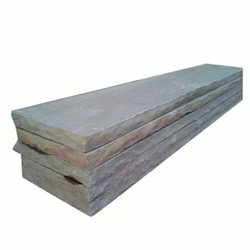 Our sand stone is cut in different sizes as per the need of patrons. 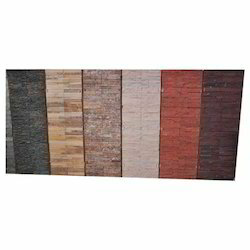 Offered sand stone is well known among customers for its colors and styles. The given sand stone is checked on numerous parameters in order to deliver a flawless range. Customers can purchase this sand stone from us at market rates. Available in Sizes(in cms): 60 x 60, 60 x 40, 60 x 30, 30 x 30 and as per clients’ instruction. Thickness: 15 mm/18 mm/20 mm/25 mm/30 mm and as per clients instruction. Finishes: one aside and both side natural/ one aside and both side calibrated/ brushed/ polished/ honed/ sandblasted and as per clients instruction. Minimum order quantity: 400 sq. M.
Sand Stone is processed by using optimum quality raw material keeping in mind regarding the landscaping or interior/exterior requirements of our prestigious client's. The offered range is easy to install, crack free and durable. 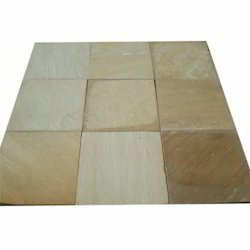 This sandstone is stringently tested by adroit experts against various quality parameters. Further more, due to the variegated demands of the clients, our offered sandstone is made available in various sizes, shapes and patterns. Being a noteworthy enterprise of this industry, we are offering a wide spectrum of Raj Green Cobble. 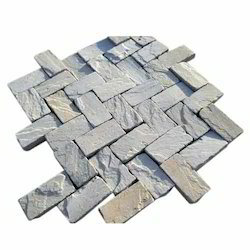 This green cobble is checked by vendors quality experts for assuring its flawlessness. Offered green cobble is processed by vendors workforce using advance machines for finishing in compliance with market norms. 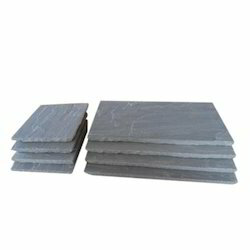 We are offering this green cobble in various sizes & thickness as per customer’s demand. Available in Sizes(in cms): 10 x 10,, 15 x 15 x 10, 15 x 20 x 10 and as per clients’ instruction. Fabricated by experts of manufacturing unit with the usage of innovative technology, we are providing Rose Red Sand Stone. 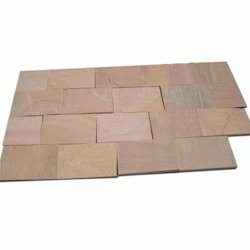 Our offered sand stone is demanded among customers owing to its easy to installation, crack free and durability. This sand stone is provided with size options as per the need of patrons. The sand stone offered by us is checked on numerous provisions of quality for supplying flawless range. Offered sand stone is easily availed from us within given time period at reasonable price. Available in sizes(in cms): 60 x 60, 60 x 40, 60 x 30, 30 x 30 and as per clients instruction. One aside and both side natural / one aside and both side calibrated / brushed / polished / honed / sandblasted and as per clients instruction. Thickness: 18 mm/20 mm and as per clients instruction. Finishes: Natural, Sawn, Sandblasted and as per clients instruction. Looking for Sand Stones ?